Art and history are the legs of a journey discovering the museums in Genoa I consider unmissable. Old and modern, between the sea and the mountains, Genoa is a city full of art, breathless landscapes and museums housing the history of the more or less famous Genoese people. When I saw it for the first time it left me breathless. I soon thought that the Spinola Palace should be the first museum to visit when you arrive in Genoa, and I’m still sure of it. The Palace, the works, the furnishings and the books it houses were donated to the Italian State by the marquises Paolo and Franco Spinola with the obligation to preserve the original aspect of the residence. 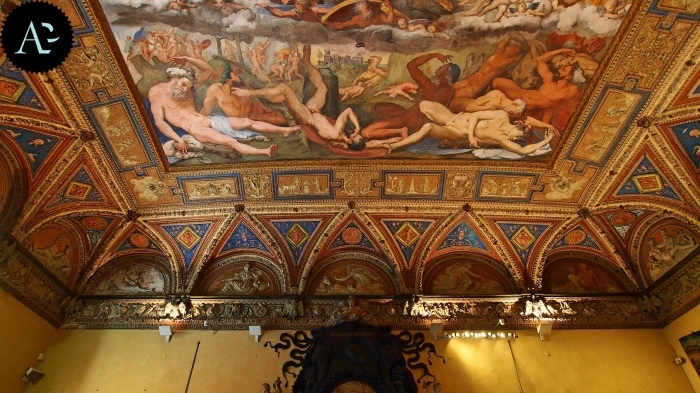 For this reason this is not only a container of works of art painted by great artists such as Antonello da Messina, Peter Paul Rubens, Orazio Gentileschi and Van Dyck, but it’s an authentic Genoese noble residence which will allow you to enter the heart of the history of the city. Exactly in the place in which in ancient times galleys of the Genoese fleet were built and armed, today is the largest and most important maritime museum in the Mediterranean area. The Galata is a unique museum where you can get on board a 17th-century galley, experience a shipwreck thanks to 4D technology, become an Italian migrant of the early 20thcentury heading towards the USA or enter a submarine, the first museum ship in Italy. This museum will surprise you in every room and, besides housing important works of art such as the portrait of Christopher Columbus painted by Ridolfo del Ghirlandaio (around 1520), it allows you to make a real journey through five centuries of the history of navigation. Villa del Principe is a treasure chest full of masterpieces. Built by Andrea Doria, Admiral of Charles V’s fleet, the villa overlooks the sea and in particular the area where the galleys of the Doria fleet were moored. It’s the first Renaissance-style house in Genoa, and to carry out this project Andrea Doria hired Perin del Vaga from Rome, who was Raphael’s fellow worker. Genoa houses some of the most precious palaces in the world, known as the Rolli in Genoa and inscribed on the UNESCO World Heritage List. 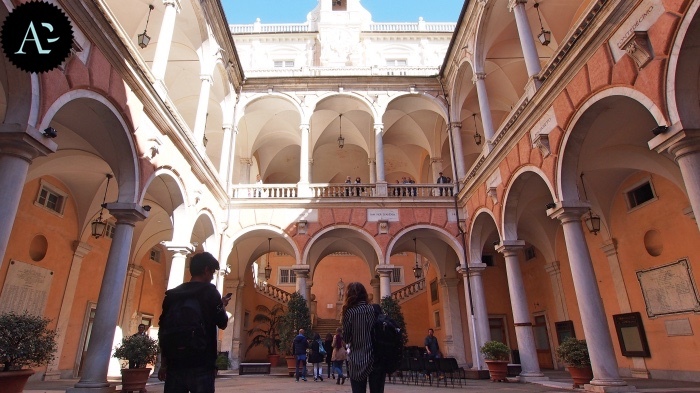 The Palazzi dei Rolli consist of 42 palaces and you should visit them all, but you must visit three of them: Palazzo Rosso (Red Palace), Palazzo Bianco (White Palace) and Palazzo Tursi. The frescoes and the art collections held in these palaces are amazing and leave tourists breathless. From the picture gallery including masterpieces by Durer, to paintings by Veronese, from masterpieces by Caravaggio and Rubens to paintings by Guercino, Guido Reni and Van Dyck. This is Genoa’s largest building built between the 17thcentury and the 18thcentury preserving its interiors, decorations and furniture. The frescoes were painted by some of the greatest artists of the Baroque and the Rococo. 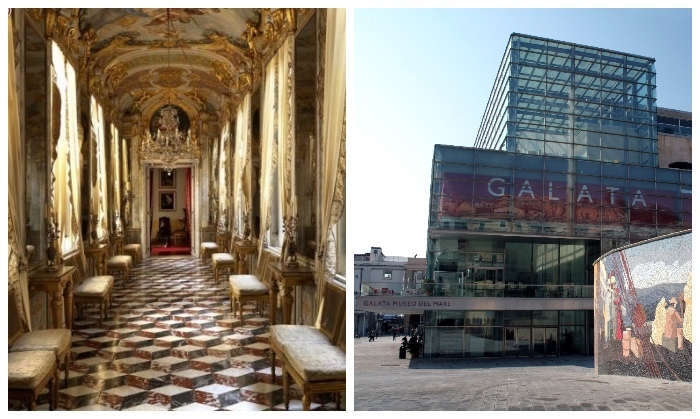 The Palazzo Reale also boasts a collection of hundred paintings painted by artists such as Bassano, Tintoretto, Luca Giordano, Anton Van Dyck and includes the visit to the Appartamento dei Principi Ereditari (The Crown Princes’ apartment) built by the Savoia family.